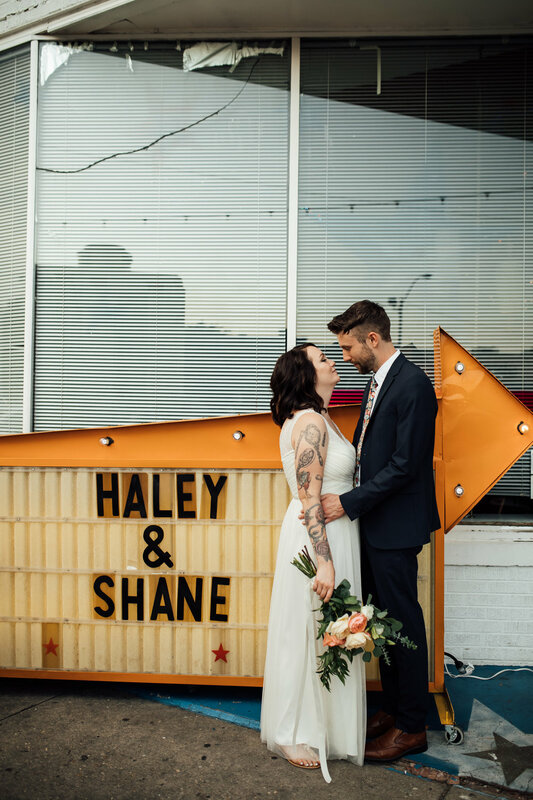 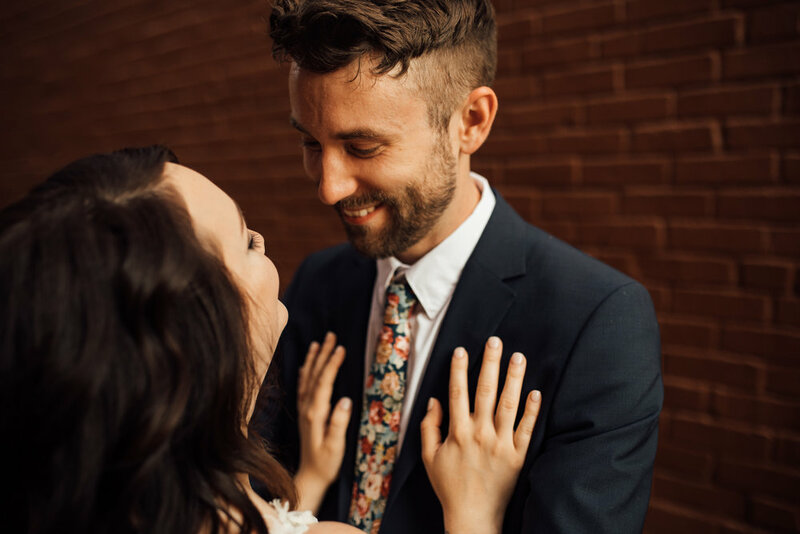 After meeting Haley and Shane and creating some really fun and quirky engagement photos with them in a funky little thrift store, I knew that their wedding would be cool, but I really had no idea HOW cool it would actually be. 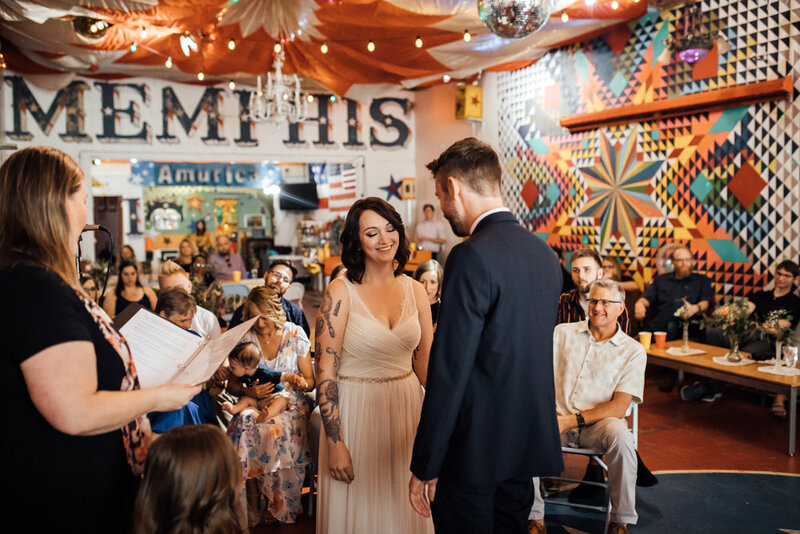 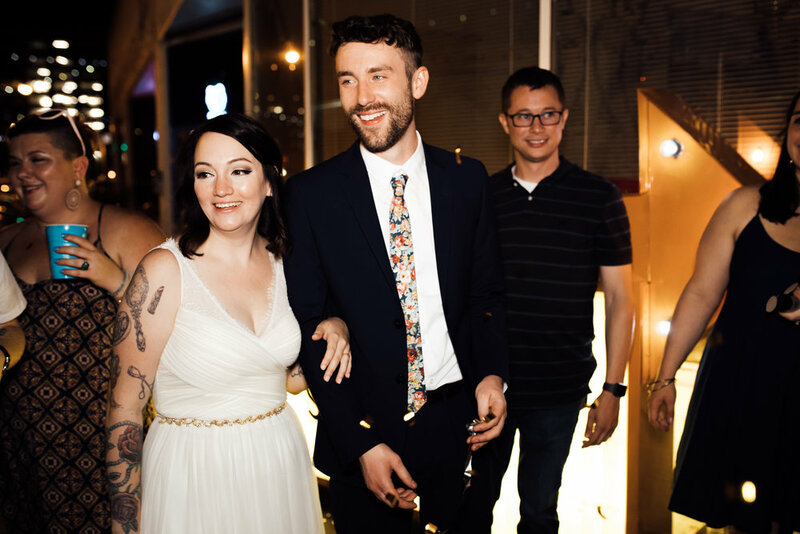 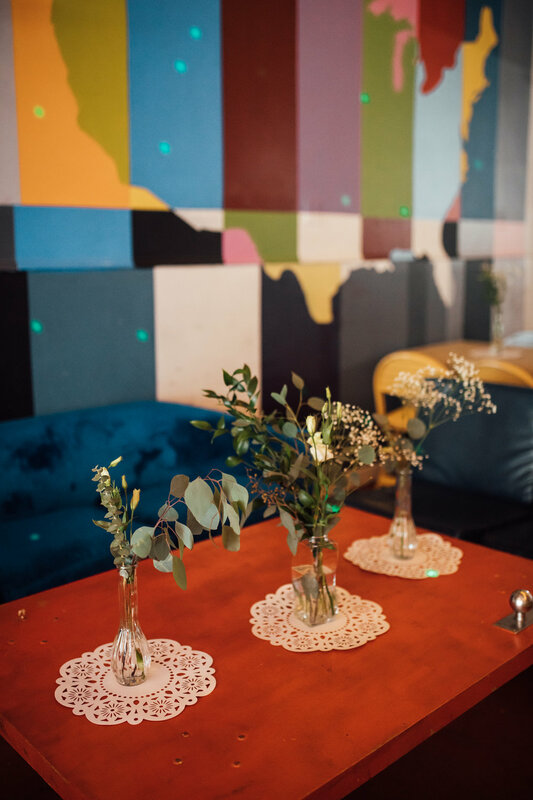 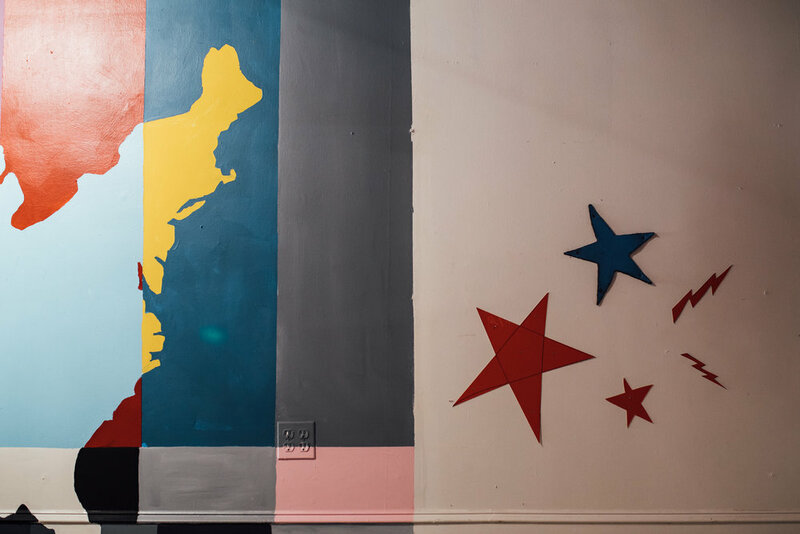 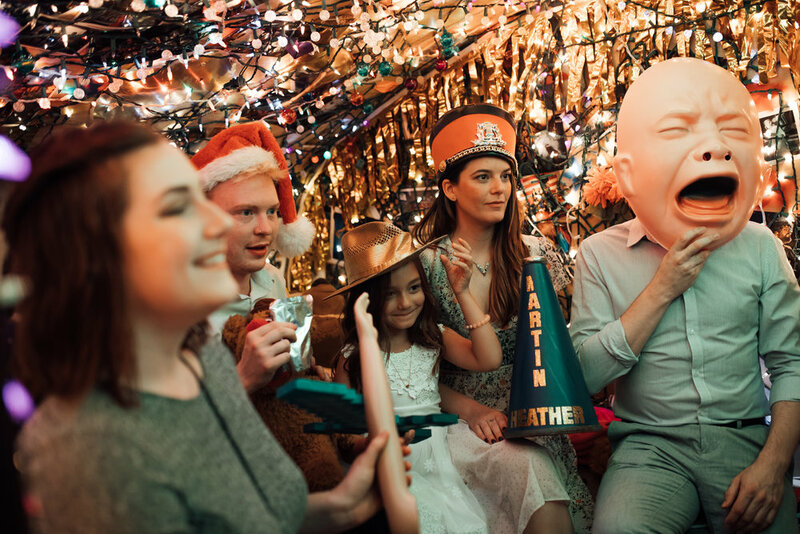 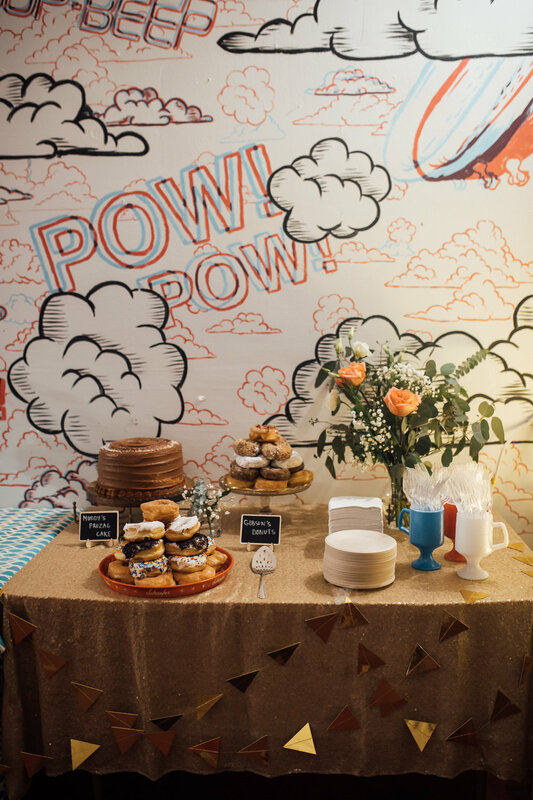 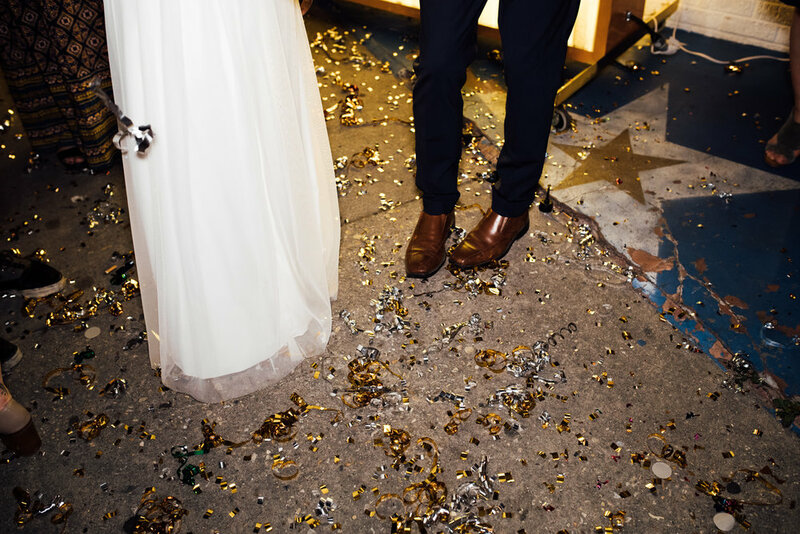 They had their eclectic wedding in Midtown at Amurica Studio. 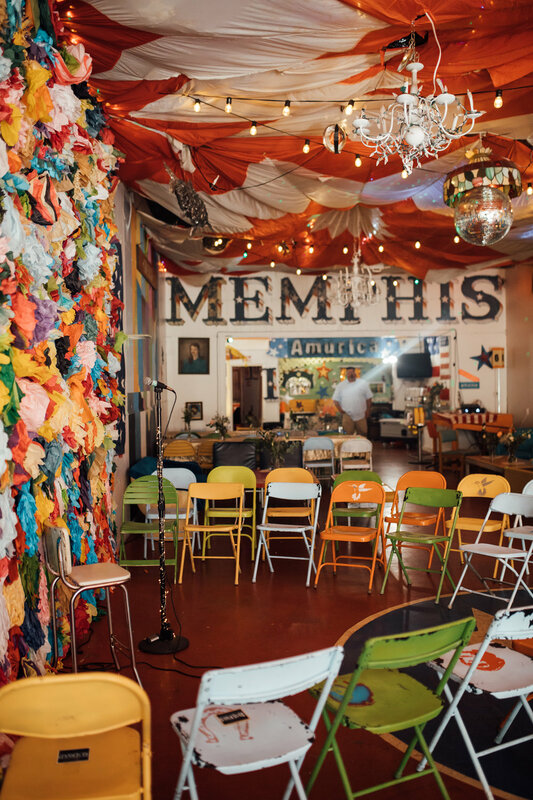 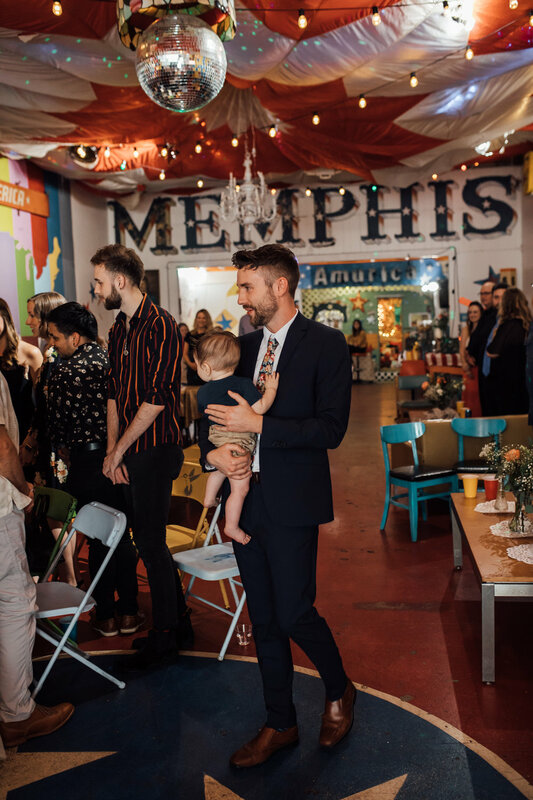 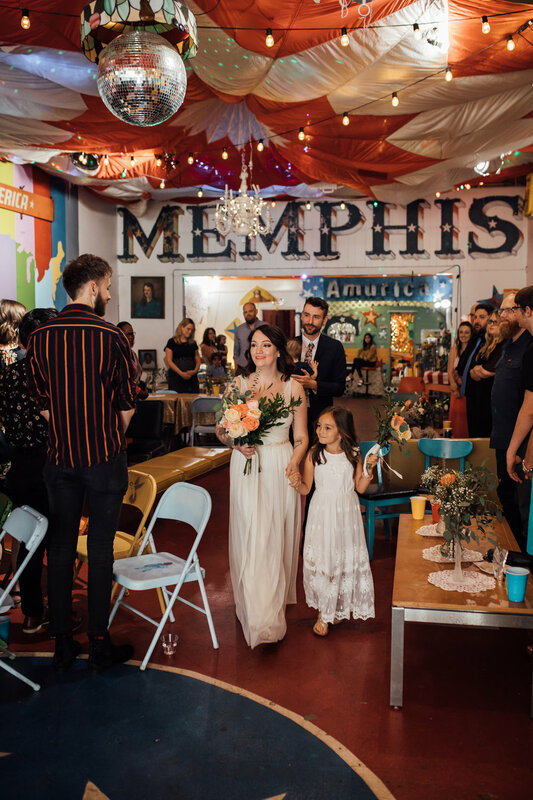 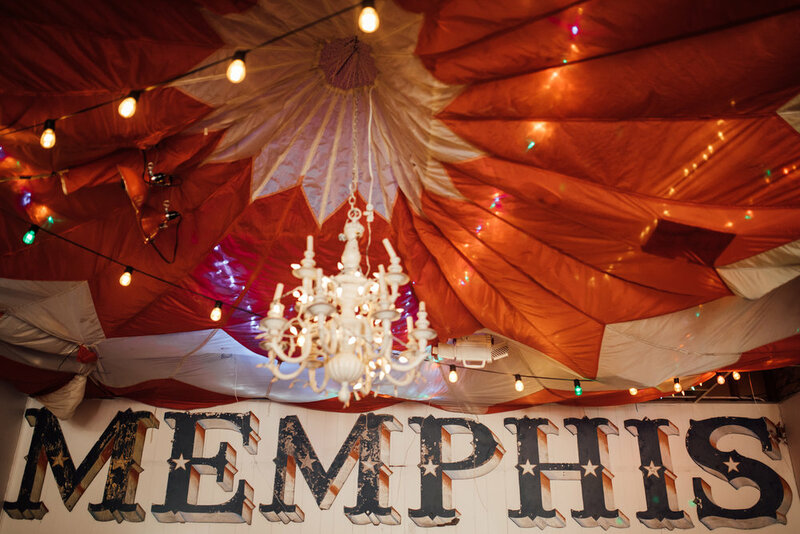 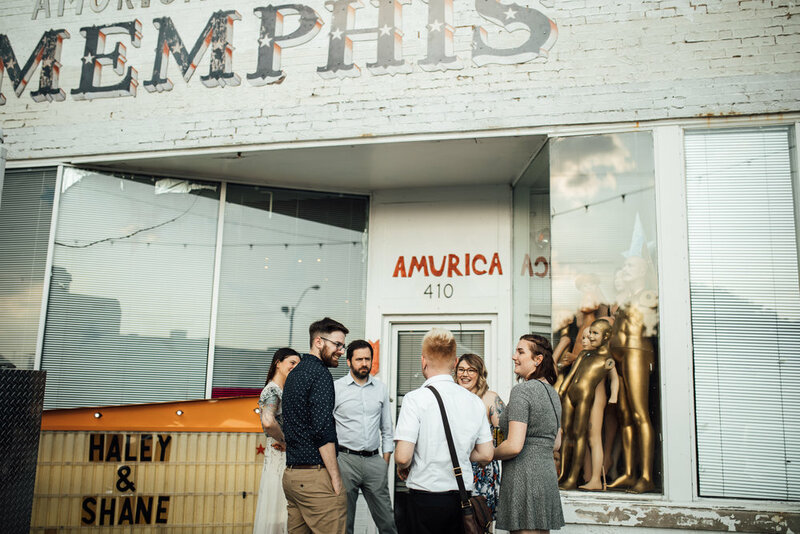 (If you're from Memphis, you probably know allllll about Amurica Photobooth, but they actually have an event space as well!) 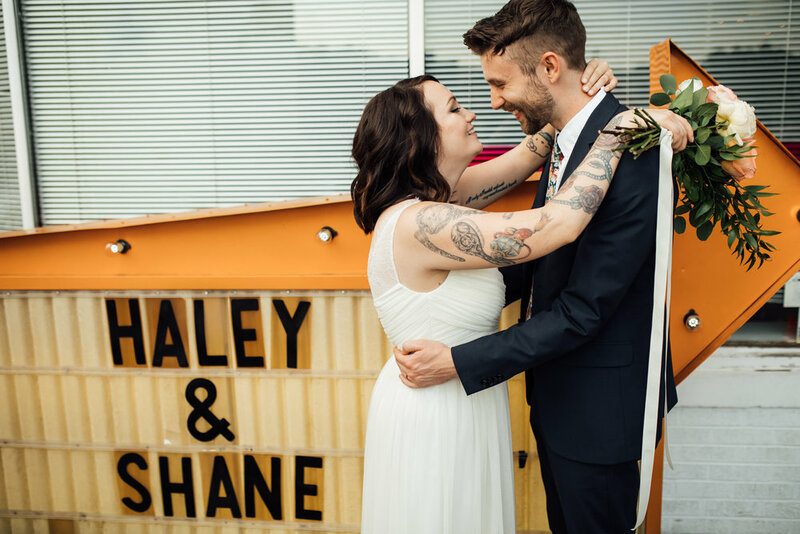 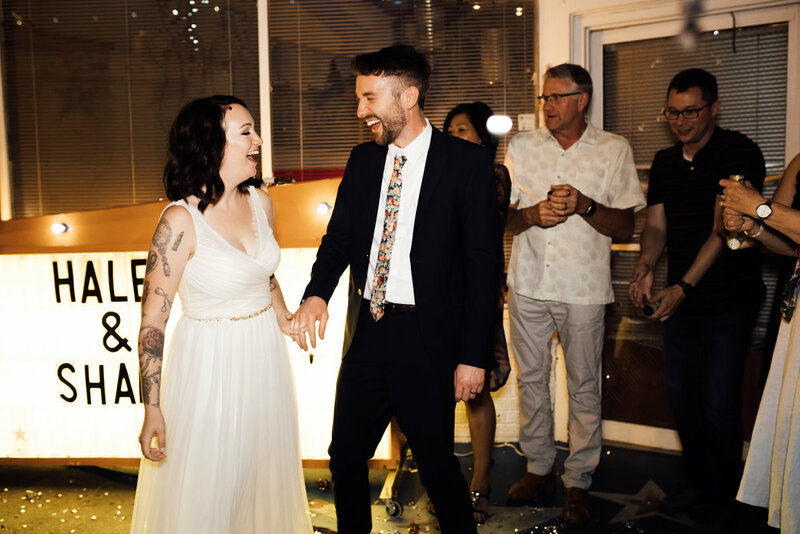 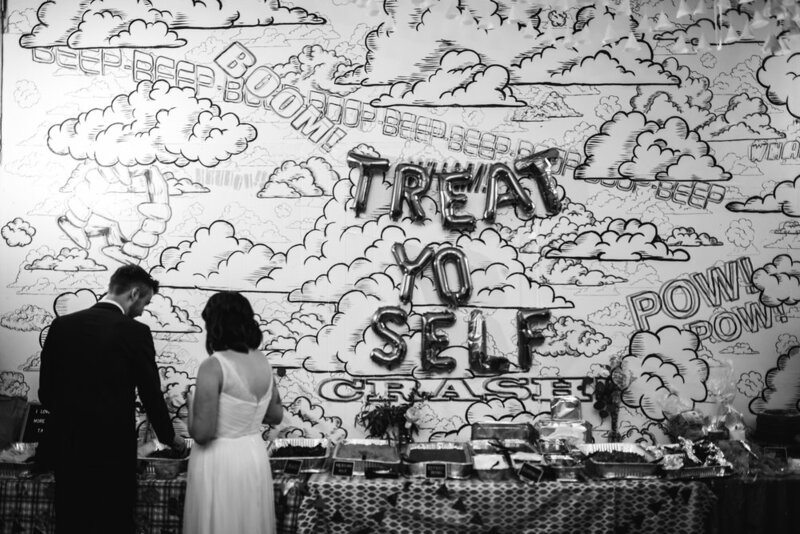 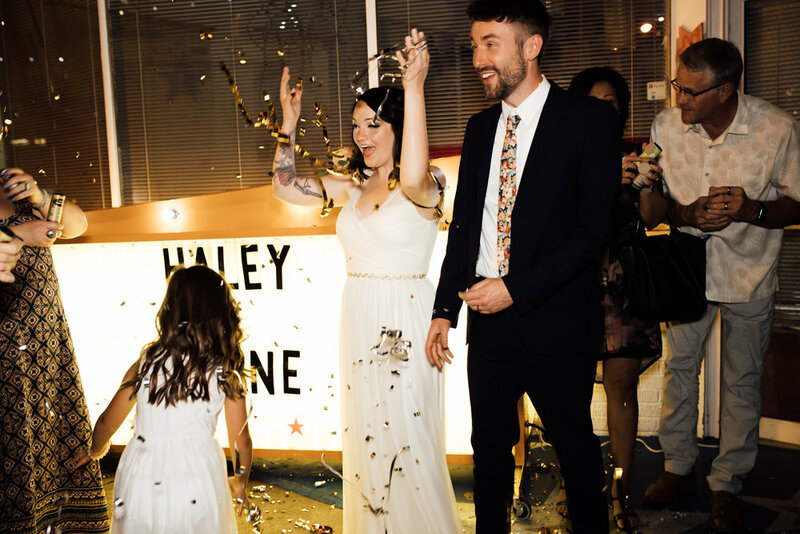 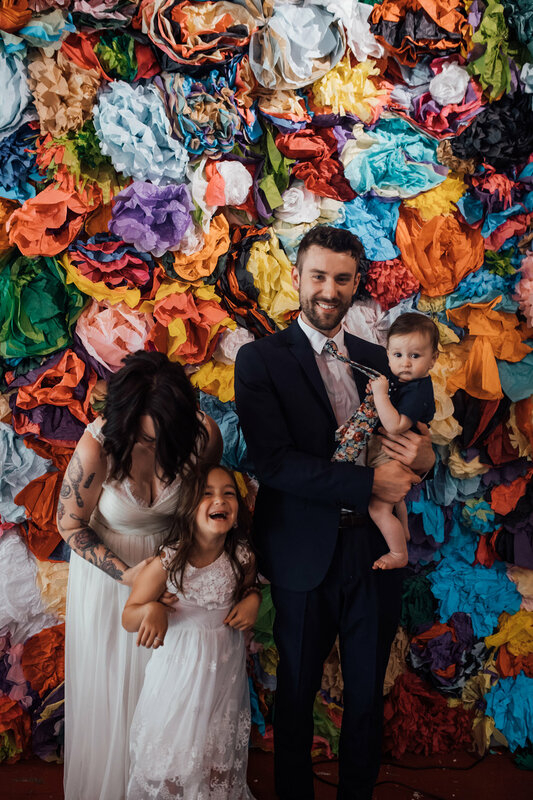 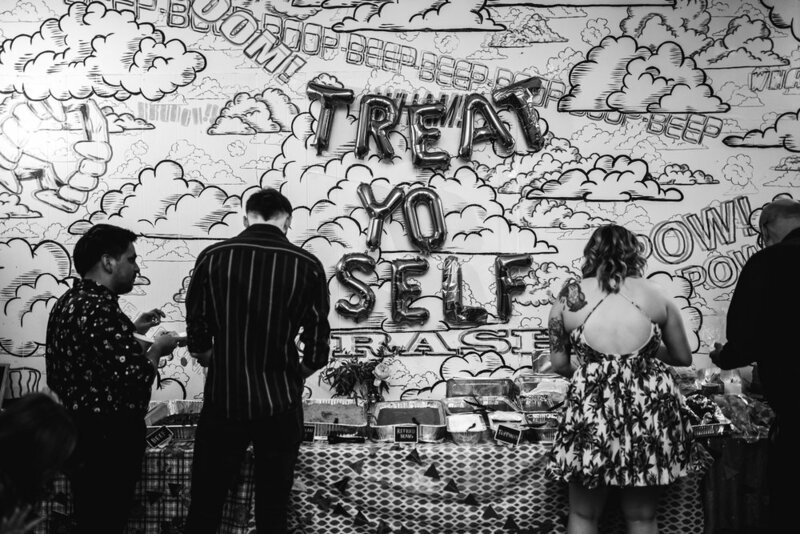 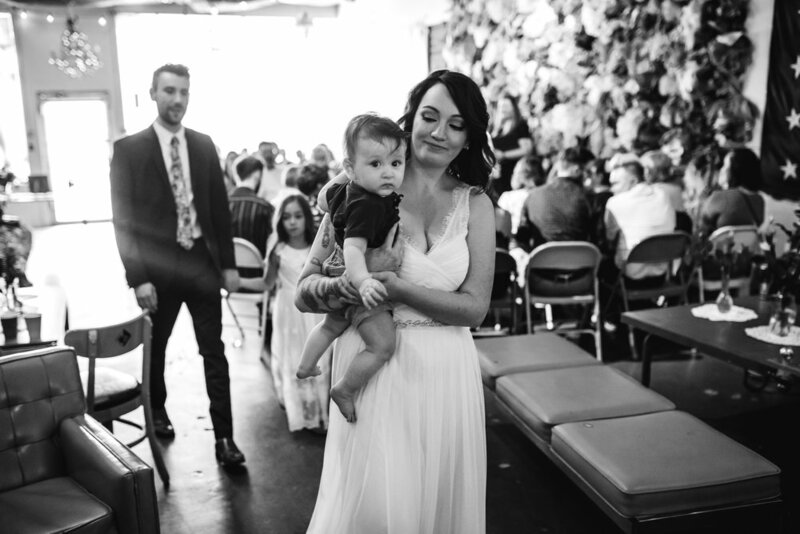 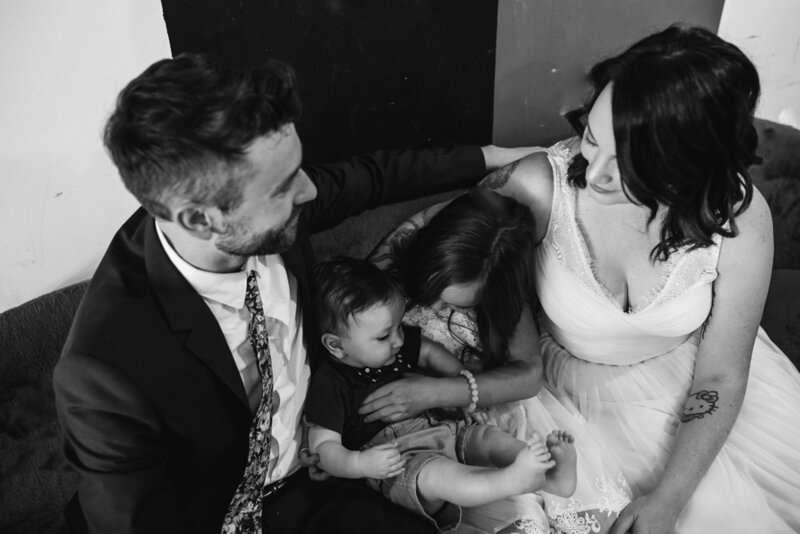 It was perfect for their untraditional, alternative wedding. 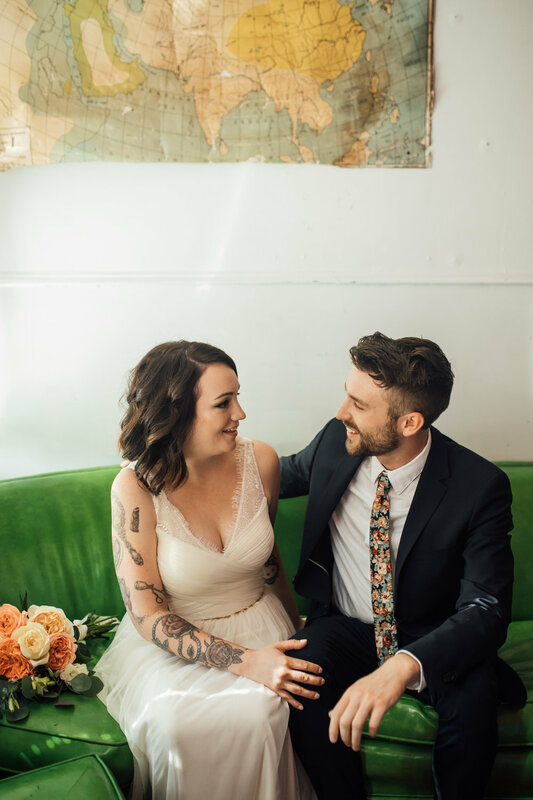 As soon as I walked in, it was like all my wildest dreams had come true. 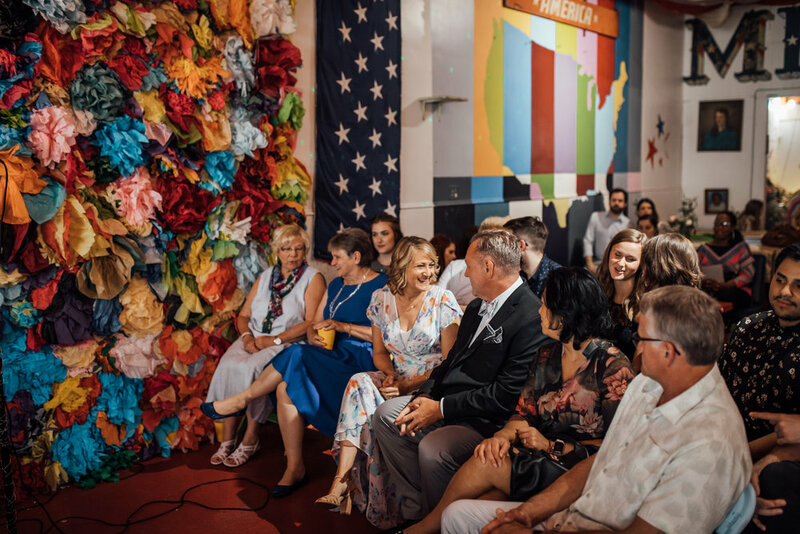 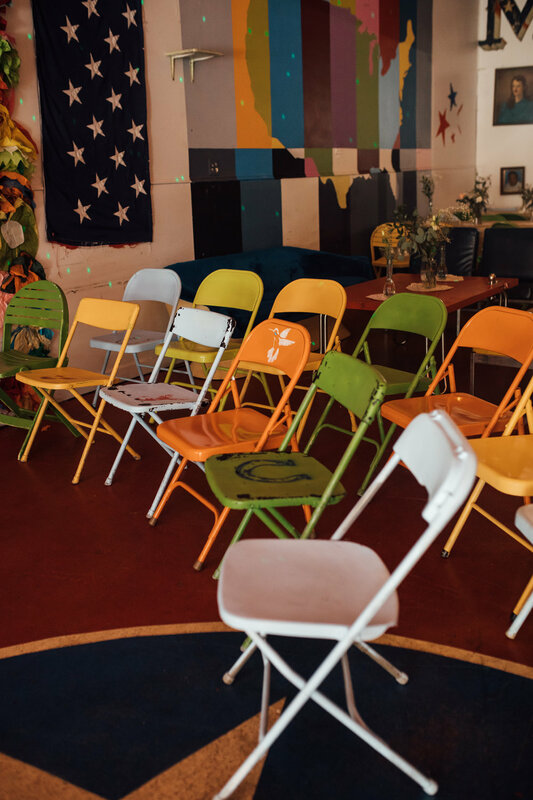 Folding chairs of every color curled around the ceremony space; and in the center, a floor to ceiling wall of colorful tissue papered flowers as a backdrop. 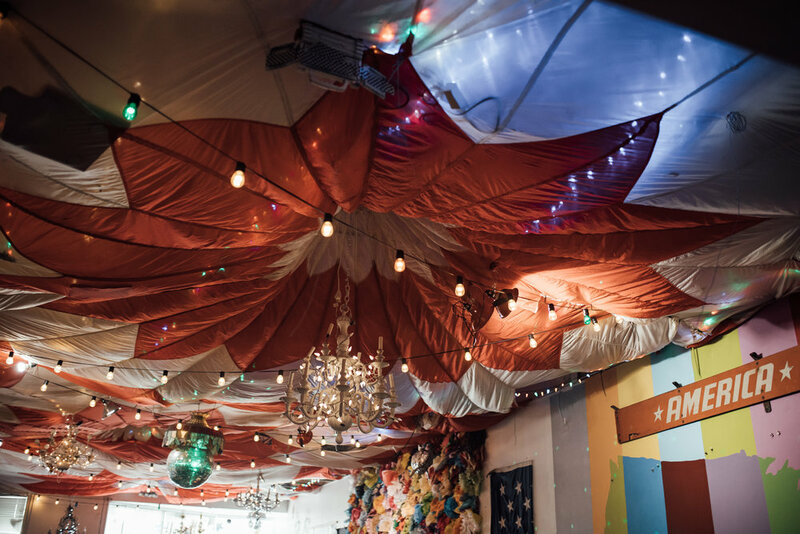 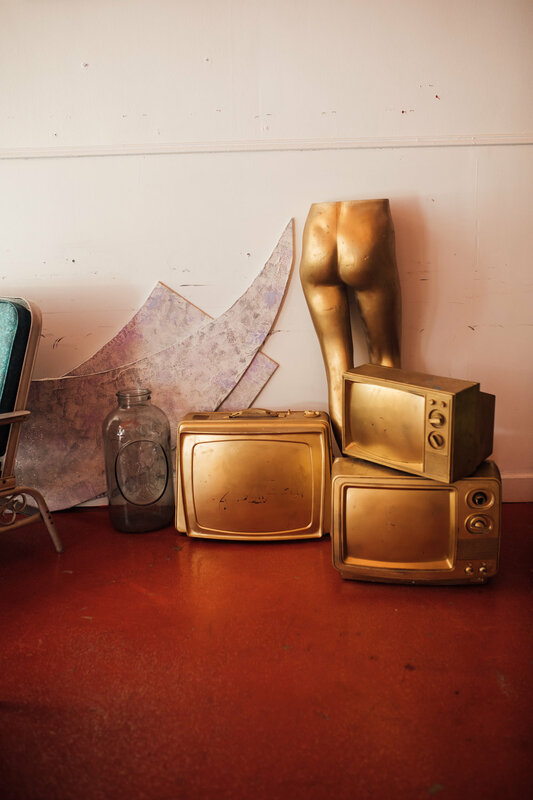 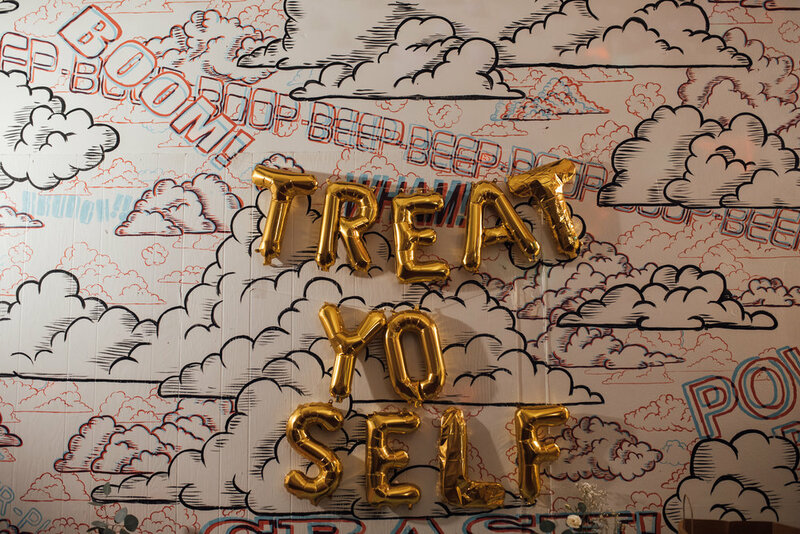 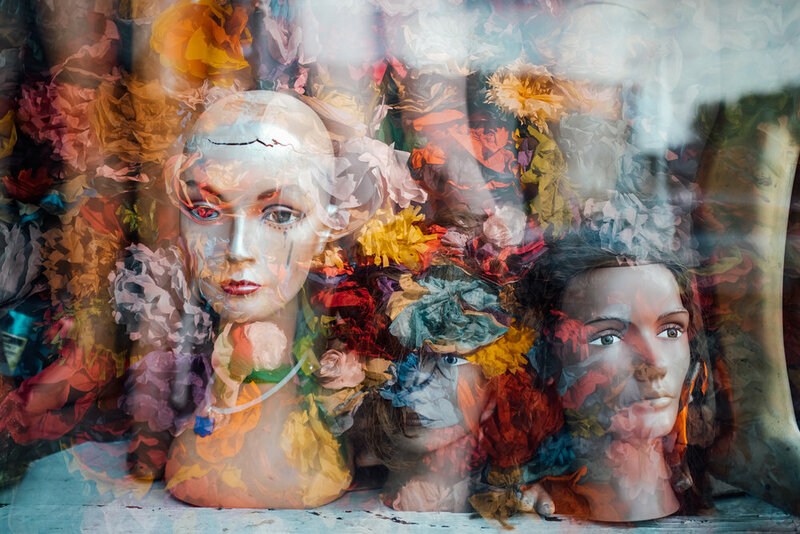 The entire space is a giant art installation, full of mannequins, disco balls, funky antique furniture, and patterns. 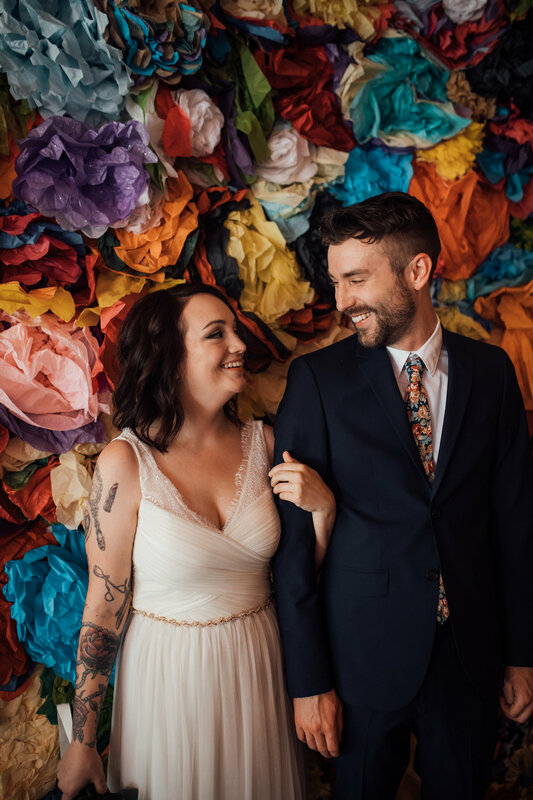 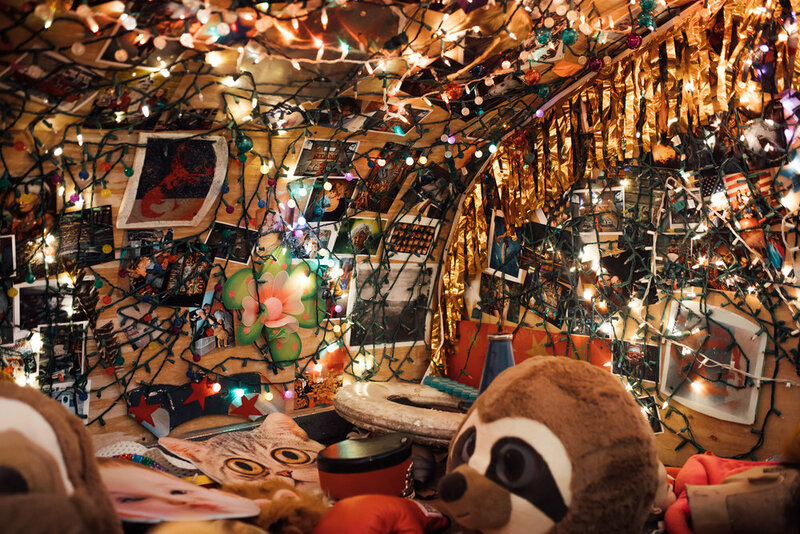 It's totally quirky and colorful and I loved seeing everyone's faces as they walked in and saw it for the first time. 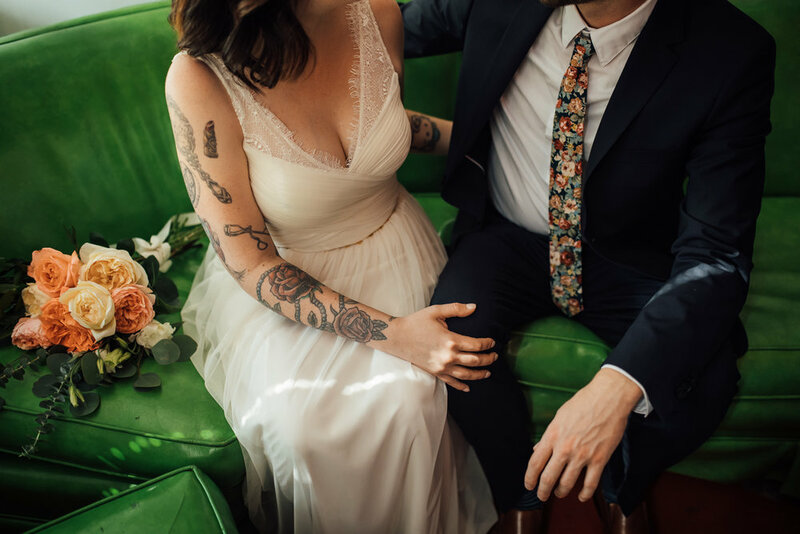 Many ways to say, 'I love you'"
Haley's gorgeous wedding gown was from BHLDN (where I actually got my wedding dress too! 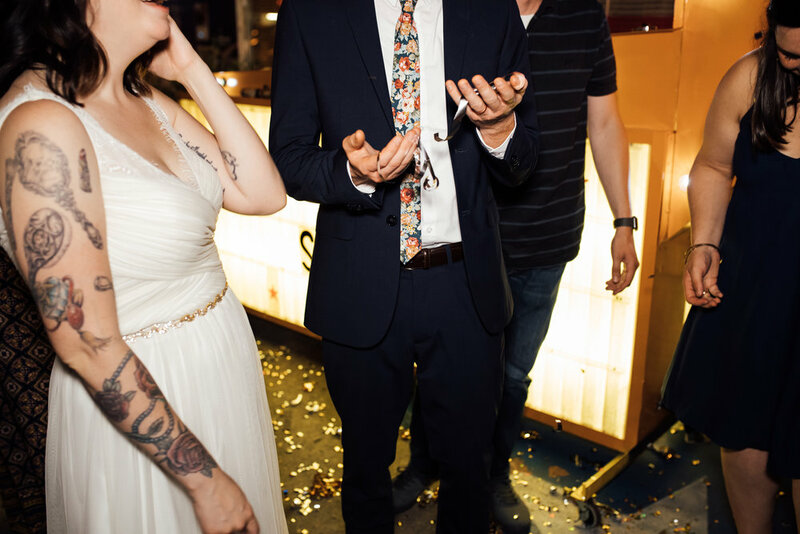 I am slightly obsessed with them.) 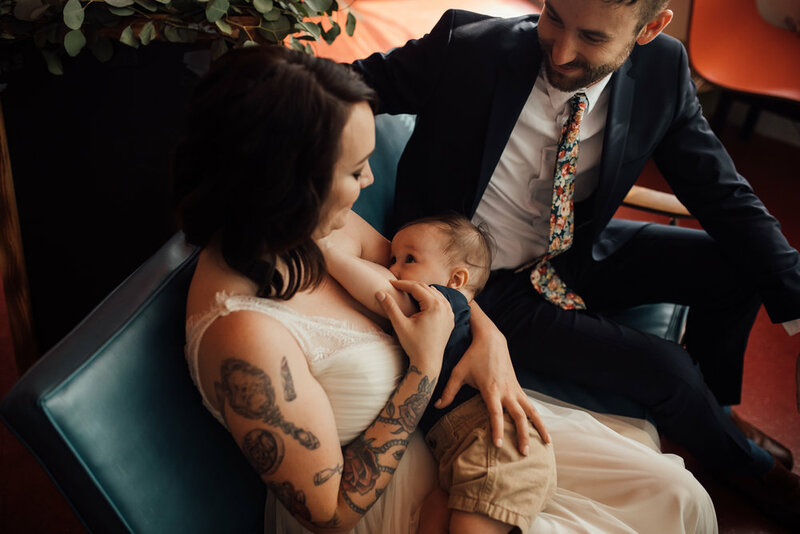 And she actually had it altered so that she would be able to breastfeed Ezra easily at the wedding. 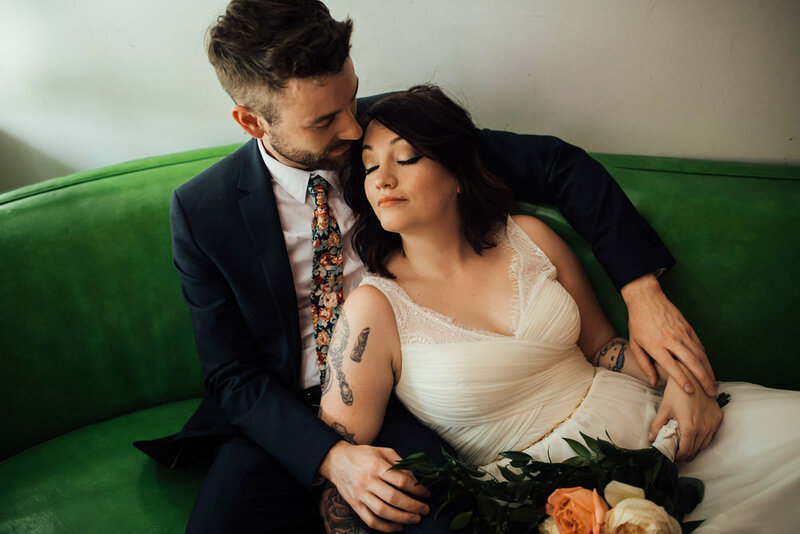 It was such a sweet moment between them during the busy day, and I loved that I got to document them sharing such an intimate part of the day together. 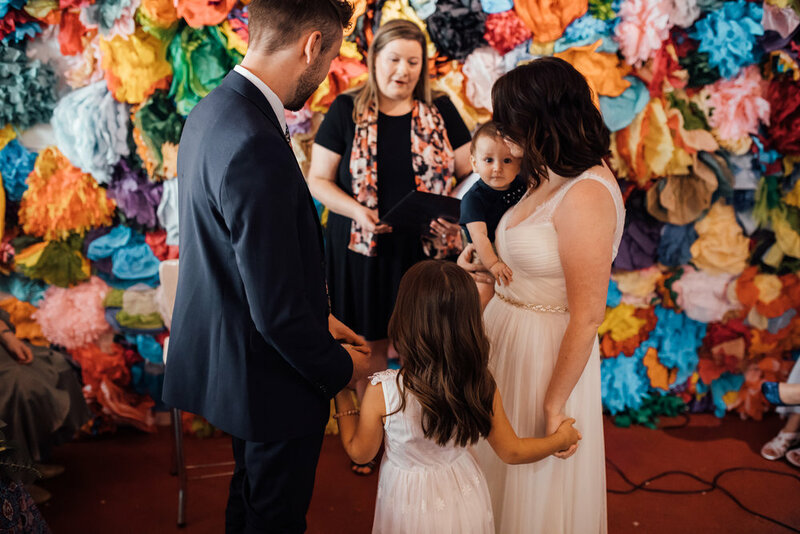 Haley and Shane's ceremony was more than just a ceremony for them, they included their whole little family. 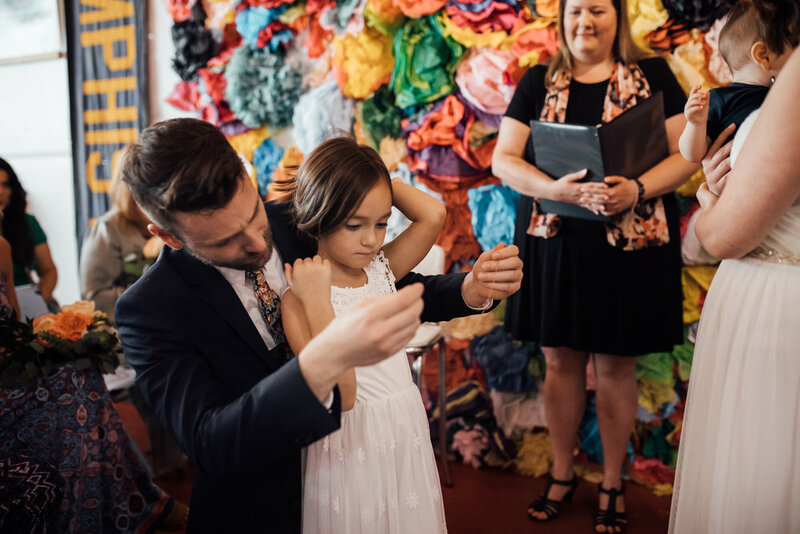 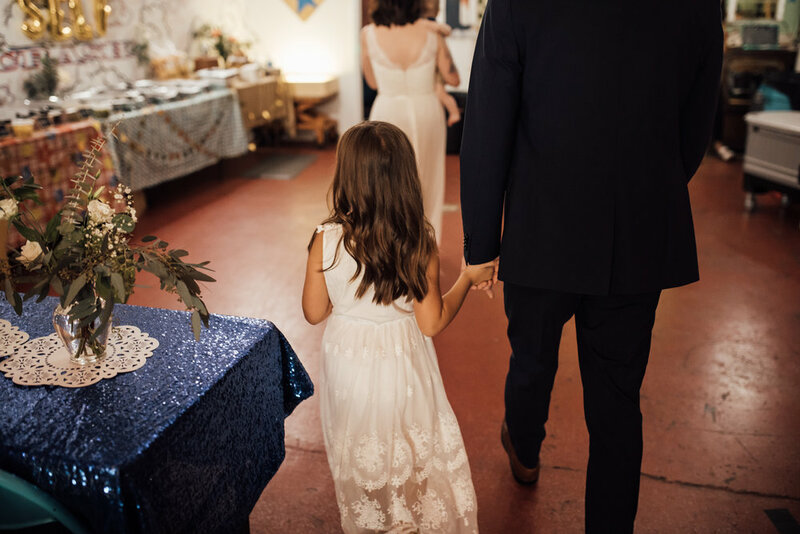 They incorporated Ellie and Ezra in every part of their day, but especially during their ceremony. 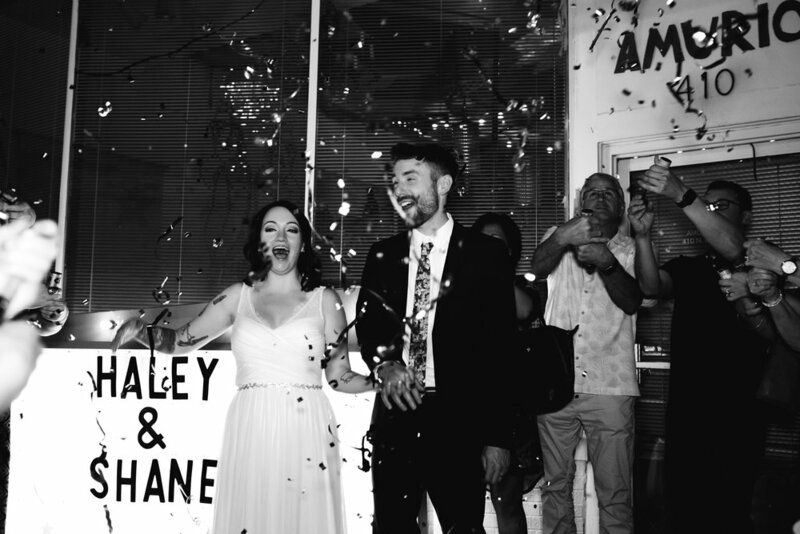 After Haley and Shane read their vows to each other, they also all read vows to each other as a family. 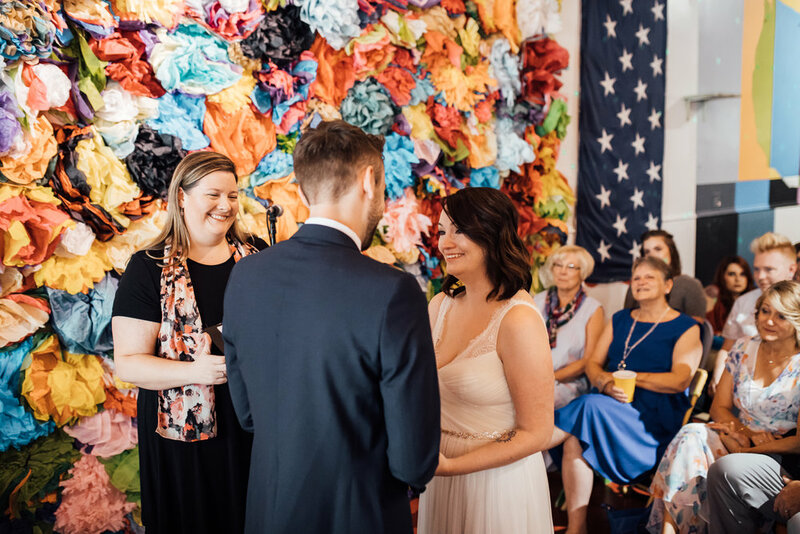 Haley, Shane, Ellie and Ezra all stood together and promised to love each other, to keep each other safe, and value each other forever. 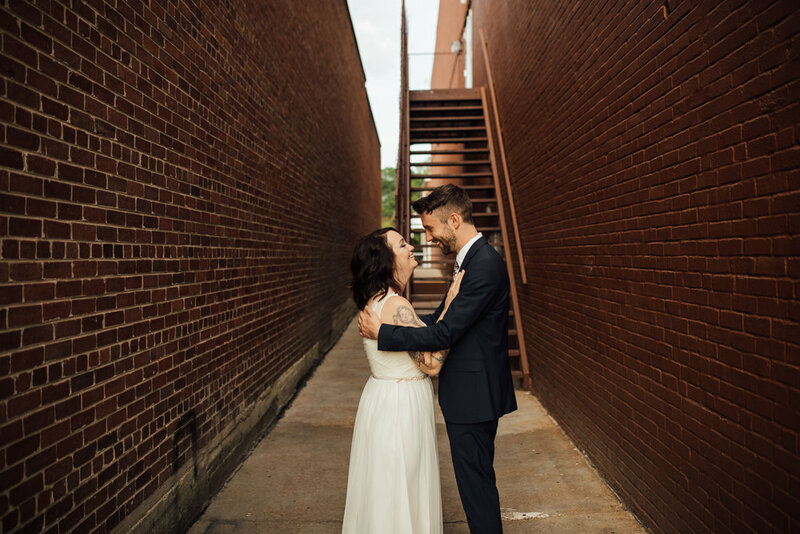 It was a beautiful and emotional part of their day! 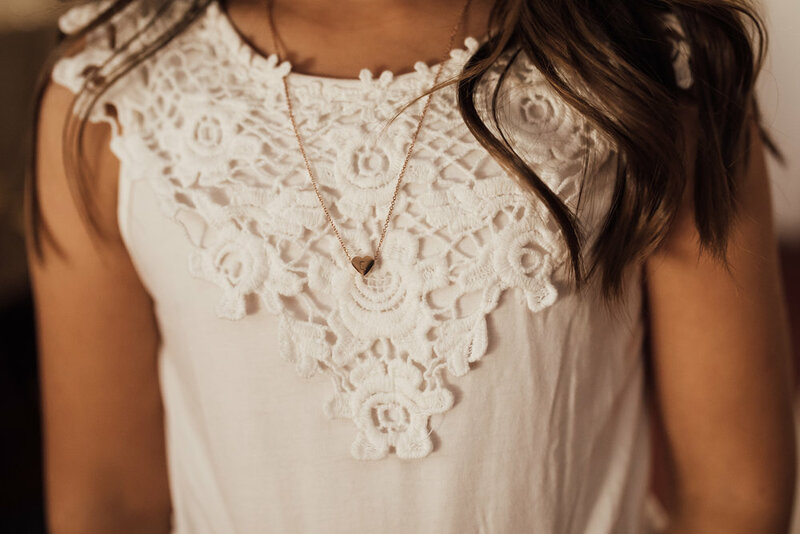 After their vows, Shane gave Ellie a present; a golden heart necklace with an E engaved on it. 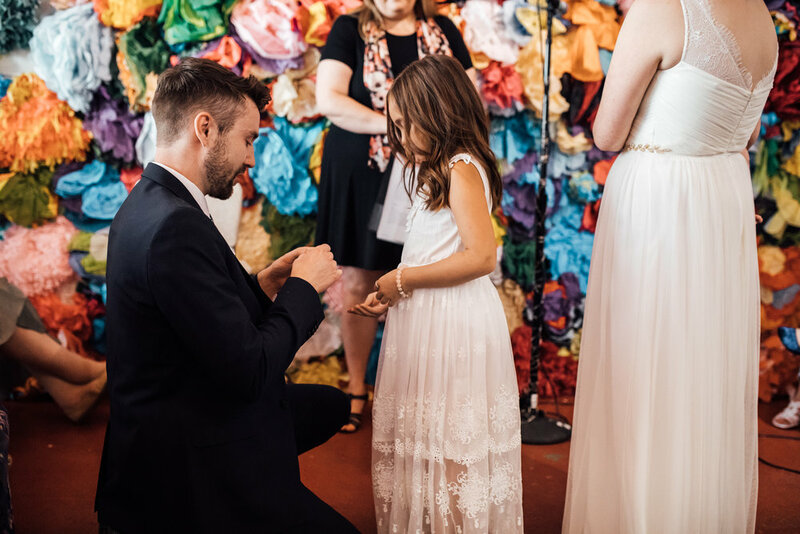 He helped her put her new necklace on and whispered in her ear, "Thank you for making me a dad." 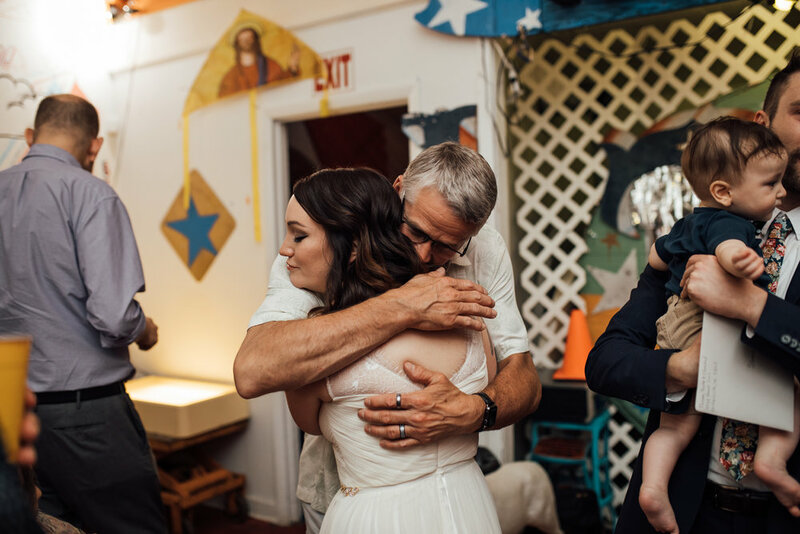 I'm not even going to pretend I didn't cry like a giant baby.